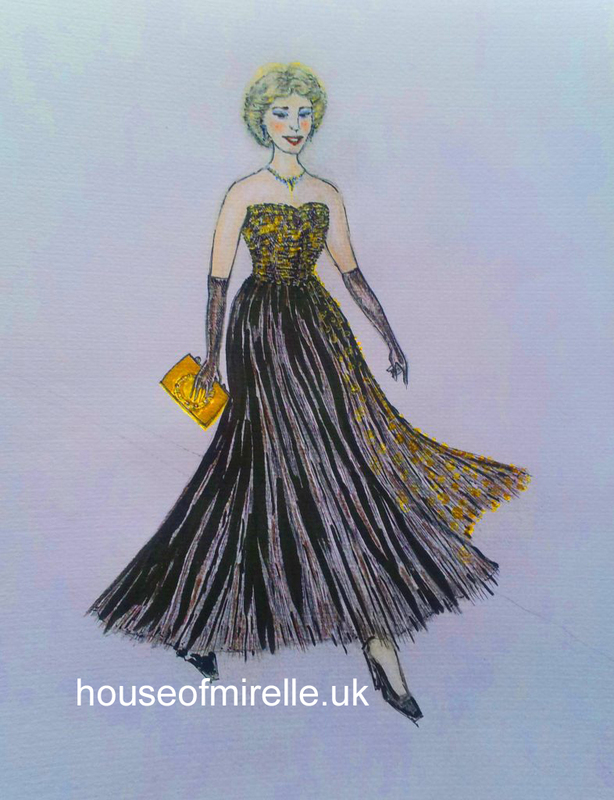 Between circa 1949 and 1952 a black evening gown was sold at The House of Mirelle, a UK fashion house based in Hull. It was the golden age of fashion illustration when artists interpreted designs which were published in magazines, journals and newspapers. Watch our film to see how an artist might have illustrated the dress using traditional techniques. The result is very different from computer-generated images of modern times. Follow our You Tube channel at House Of Mirelle Hull UK: Forty Years Of Fashion History .